John de Vere, 13th Earl of Oxford KG KB (8 September 1442 – 10 March 1513), the second son of John de Vere, 12th Earl of Oxford, and Elizabeth Howard, a first cousin of John Howard, 1st Duke of Norfolk - 2nd creation, was one of the principal Lancastrian commanders during the English Wars of the Roses. He was the principal commander of King Henry VII's army at the Battle of Bosworth Field, and again led Henry's troops to victory at the Battle of Stoke Field two years later. He became one of the great men of the King's regime. John de Vere, 13th Earl of Oxford, was born on 8 September 1442, the second son of John de Vere, 12th Earl of Oxford (23 April 1408 – 26 February 1462), and his wife Elizabeth Howard (c. 1410–1474), the daughter of Sir John Howard and Joan Walton. In February 1462 the 12th Earl, his eldest son, Aubrey de Vere, and Sir Thomas Tuddenham, the 12th Earl's former political opponent in Norfolk and now a fellow Lancastrian loyalist, were convicted of high treason before John Tiptoft, 1st Earl of Worcester, Constable of England, for plotting against King Edward IV. The 12th Earl was beheaded on Tower Hill on 26 February 1462, and buried in the church of Austin Friars in London. His son Aubrey had been beheaded on the same scaffold six days earlier. Pursuing a conciliatory policy with Lancastrian families, King Edward allowed John de Vere to succeed his father, and on 18 January 1464 granted him licence to enter on his father's lands. On 26 May 1465 he was created a Knight of the Bath at the coronation of Edward IV's wife, Elizabeth Woodville, and officiated at the ceremony as both Lord Great Chamberlain, in the absence of the then office-holder, the Earl of Warwick, and as Chamberlain to the queen. In November 1468, however, he was committed to the Tower, and confessed to plotting with the Lancastrians against the King. He was likely released before 7 January 1469, and received a general pardon on 5 April of that year. However, by early July 1469 Oxford had joined the discontented Yorkists led by his brother-in-law, the Earl of Warwick, and King Edward's brother, the Duke of Clarence, for the Edgecote campaign. Following the loss at Edgecote on 12 March 1470, he fled overseas to the court of King Henry VI's wife, Margaret of Anjou. In September 1470 he joined Warwick and Clarence in the invasion of England which restored Henry VI to the throne, and on 13 October bore the Sword of State before Henry in a procession to St Paul's. He was appointed Lord High Constable of England, and as such on 15 October tried and condemned for high treason the same Earl of Worcester who had in 1462 condemned Oxford's own father and brother. they lost their way in the fog and suddenly emerged on their own army, who mistook the Vere star for Edward's sun in splendour, and met them with a flight of arrows. Whereupon Oxford and his men cried "Treasoune! treasoune" and fled. After this defeat Oxford escaped to Scotland with 40 men, accompanied by his two brothers, George and Thomas Vere, and the Viscount Beaumont. From there he went to France, where he collected ships and engaged in privateering. Although he was not attainted after leaving England in 1471, his lands were confiscated, and his wife, Margaret, is said to have been subjected to great financial hardship. On 28 May 1473, Oxford attempted an unsuccessful landing at St Osyth in Essex. On 30 September 1473, he seized St Michael's Mount in Cornwall, where he was besieged for some months by John Fortescue. After most of his men had deserted and he had been wounded in the face with an arrow, Oxford was eventually compelled to surrender on 15 February 1474, along with his two brothers and Beaumont. Oxford was imprisoned at Hammes Castle near Calais, and was attainted early in 1475. At this time his mother, the 12th Earl's widow, was forced to surrender her property to the Duke of Gloucester. In 1478 Oxford scaled the walls of Hammes and leapt into the moat, though whether this was an attempt at escape or suicide is unclear. The new king, Richard III, ordered his transfer to England on 28 October 1484, but before the transfer could be effected Oxford had escaped, having persuaded the captain of Hammes, Sir James Blount, to go with him to join the Earl of Richmond. It is said that Richmond was "ravished with joy incredible" at this event. Oxford immediately returned to Hammes to bring the garrison there to join Richmond. Oxford commanded the archers and Henry's vanguard using the formation called the Oxford Wedge, which penetrated Richard's army in the shape of an arrow at the Battle of Bosworth, and held Richmond's vanguard in fierce fighting in which John Howard, the Duke of Norfolk and the first cousin of Oxford’s mother, who was leading the vanguard of Richard III, was killed. To celebrate the Tudor victory at Bosworth, Oxford commissioned the building of the church of St. Peter and St. Paul, Lavenham. According to Gunn, Oxford was 'immediately recognized as one of the great men of Henry VII's regime'. His attainder was repealed, he was restored to his estates and titles, and received many appointments and grants, including appointment as Lord Admiral on 21 September, and chief steward of the Duchy of Lancaster south of Trent and Constable of the Tower of London on 22 September 1485. He was also appointed the first Captain of the Yeomen of the Guard. He was sworn of the Privy Council, and recognized as Hereditary Lord Great Chamberlain of England. As Lord Great Chamberlain he officiated at the coronations of Henry VII and Elizabeth of York, bearing the king's train at the coronation and setting the crown upon the king's head at the coronation banquet. By 1486 he had been invested with the Order of the Garter. He was present at most great court occasions, and stood godfather to the king's eldest son, Arthur, Prince of Wales, in 1486, bestowing on his godson a gift of a pair of basins with a cup of assay, all gilt. Nor were Oxford's fighting days over. In 1487, he commanded the vanguard at Stoke, the last battle of the Wars of the Roses, was in Picardy in 1492, and in 1497 was one of the commanders against the Cornish rebels at Blackheath. He presided as Lord High Steward at the trial of the Earl of Warwick on 21 November 1499. By 1499, Oxford's yearly landed income had risen to £1600. He entertained the king regularly on his progresses. However, Sir Francis Bacon's story that Henry VII imposed an enormous fine on the Earl for illegally bringing together more than the allowed number of retainers to welcome the king is likely apocryphal. On the accession of King Henry VIII Oxford continued in high favour, and officiated as Lord Great Chamberlain at the coronation. He resided at Wivenhoe and Castle Hedingham in Essex, and added to the 12th-century keep of the latter and constructed a new great hall and several towers. His jousting helm is in the Bargello in Florence. According to Gunn, he 'kept an outstanding chapel choir', and commissioned Caxton's edition of The Four Sons of Aymon in 1489. Oxford also kept a playing company whose recorded performances span the years 1492–1499. Oxford died on 10 March 1513 at Castle Hedingham and was buried 24 April at Colne Priory. He had no issue by either of his two marriages, and was succeeded as Earl by his nephew, John de Vere, 14th Earl of Oxford, the second but only surviving son of Sir George Vere, third son of the 12th Earl, and his wife, Margaret Stafford, the daughter and heir of Sir William Stafford of Bishops Frome, Hereford. Oxford married firstly, Margaret Neville, the daughter of Richard Neville, 5th Earl of Salisbury, by Alice, the daughter of Thomas Montagu, 4th Earl of Salisbury. Oxford's first wife was the sister of Richard Neville, 16th Earl of Warwick, the Kingmaker, making Oxford the uncle of Isabel Neville, Duchess of Clarence as the wife of George Plantagenet, and Anne Neville, the Duchess of Gloucester and later Queen of England after her husband, Richard, was crowned Richard III. Margaret Neville died between 20 November 1506 and 14 January 1507,. Oxford married secondly Elizabeth Scrope, the widow of his colleague William, 2nd Viscount Beaumont, and daughter and coheir of Sir Richard Scrope, the second son of Henry Scrope, 4th Baron Scrope of Bolton, by Eleanor, the daughter of Norman Washbourne. He is said to have had an illegitimate daughter, Katherine de Vere (d. after 20-06-1504), who married Sir Robert Broughton, 'one of the richest non-baronial landowners in England'. Broughton appointed the 13th Earl as supervisor of his will. John Broughton (d. 24 January 1518) of Toddington, Bedfordshire, who married Anne Sapcote (d. 14 March 1559), the daughter and heir of Sir Guy Sapcote by Margaret Wolston, daughter and heir of Sir Guy Wolston, and by her had a son, John Broughton (d.1528), and two daughters, Katherine Broughton (d. 23 April 1535), who was the first wife of William Howard, 1st Baron Howard of Effingham, and Anne Broughton, who married, as his second wife, by dispensation dated 24 May 1539, Sir Thomas Cheyney. Margaret Broughton, who married Henry Everard, by whom she had several children, including Elizabeth Everard, who married Sir William Clopton (d. 6 October 1568) of Liston Hall, Essex. ^ Cokayne 1945, p. 238. ^ a b c d e f g h i j k l Gunn 2004. ^ Cokayne 1945, pp. 237–238. ^ a b c Kohl 2004. ^ Cokayne 1945, pp. 239–240. ^ Cokayne 1945, pp. 240–241. ^ a b c d e f Cokayne 1945, p. 241. ^ a b Cokayne 1945, p. 240. ^ Cokayne 1945, pp. 238, 241. ^ a b Cokayne 1945, p. 242. ^ Ross 2011, pp. 141–2. ^ Lancashire 1984, p. 407. ^ a b c Cokayne 1945, p. 243. ^ Ross 2011, p. 50. ^ Ross 2011, p. 204. ^ a b Ross 2011, p. 187. ^ Copinger 1910, pp. 156, 319. ^ Anne Sapcote (d. March 1558/9), A Who’s Who of Tudor Women: Sa-Sn compiled by Kathy Lynn Emerson to update and correct Wives and Daughters: The Women of Sixteenth-Century England (1984) Archived 21 September 2013 at the Wayback Machine Retrieved 2 June 2013. ^ Katherine Broughton (c.1514-April 23, 1535), A Who’s Who of Tudor Women: Brooke-Bu, compiled by Kathy Lynn Emerson to update and correct Wives and Daughters: The Women of Sixteenth-Century England (1984) Archived 20 October 2013 at the Wayback Machine Retrieved 1 June 2013. ^ After the death of John Broughton, Anne (née Sapcote) married secondly Sir Richard Jerningham (d.1525), and thirdly John Russell, 1st Earl of Bedford. ^ Richardson II 2011, p. 417. ^ Lysons 1792, pp. 278-9. ^ Blaydes 1884, p. 14. ^ Cheyne, Sir Thomas (1482/87-1558), of the Blackfriars, London and Shurland, Isle of Sheppey, Kent, History of Parliament Retrieved 1 June 2013. ^ a b Nicolas 1826, p. 557. ^ Cotman 1839, p. 16. ^ Metcalfe 1878, p. 179. ^ Wright 1836, p. 561. Blaydes, Frederic Augustus (1884). The Visitations of Bedfordshire. XIX. London: Harleian Society. p. 14. Retrieved 1 June 2013. Cokayne, George Edward (1945). The Complete Peerage, edited by H.A. Doubleday. X. London: St. Catherine Press. pp. 239–244. Copinger, W.A. (1910). The Manors of Suffolk. 6. Manchester: Taylor, Garnett, Evans and Co. Ltd. pp. 156, 319. Retrieved 4 June 2013. Cotman, John Sell (1839). Engravings of Sepulchral Brasses in Norfolk and Suffolk. II (2nd ed.). London: Henry G. Bohn. p. 16. Retrieved 4 June 2013. Howard, Joseph Jackson; Armytage, George John, eds. (1869). The Visitation of London Taken in the Year 1568. I. London: Harleian Society. p. 84. Retrieved 1 June 2013. Lancashire, Ian (2006). Dramatic Texts and Records of Britain: A Chronological Topography to 1558. Toronto: University of Toronto Press. Lysons, Daniel (1792). The Environs of London. I. London: A. Strahan. pp. 278–9. Retrieved 1 June 2013. Metcalfe, Walter C., ed. (1878). The Visitations of Essex. XIII. London: Harleian Society. p. 179. Retrieved 4 June 2013. Nicolas, Nicholas Harris (1826). Testamenta Vetusta. II. London: Nichols and Son. p. 557. Retrieved 4 June 2013. Richardson, Douglas (2011). Everingham, Kimball G. (ed.). 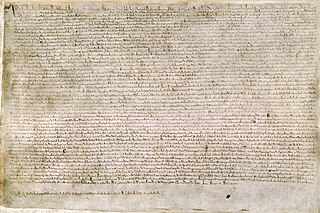 Magna Carta Ancestry: A Study in Colonial and Medieval Families. II (2nd ed.). Salt Lake City. p. 417. ISBN 1449966381. Ross, James (2011). John de Vere, Thirteenth Earl of Oxford (1442-1513); 'The Foremost Man of the Kingdom'. Woodbridge, Suffolk: The Boydell Press. ISBN 978 1 84383 614 8. Retrieved 22 July 2013. Wright, Thomas (1836). The History and Topography of the County of Essex. I. London: George Virtue. p. 561. Retrieved 4 June 2013. This article incorporates text from a publication now in the public domain: James, Tait (1899). "Vere, John de (1443-1513)". In Lee, Sidney (ed.). Dictionary of National Biography. 58. London: Smith, Elder & Co. pp. 240–242. Thomas Howard, 2nd Duke of Norfolk, styled Earl of Surrey from 1483 to 1485 and again from 1489 to 1514, was an English nobleman and politician. He was the eldest son of John Howard, 1st Duke of Norfolk, by his first wife, Catharina de Moleyns. The Duke was the grandfather of both Queen Anne Boleyn and Queen Catherine Howard and the great grandfather of Queen Elizabeth I. He served four monarchs as a soldier and statesman. William Howard, 1st Baron Howard of Effingham was the son of Thomas Howard, 2nd Duke of Norfolk and Agnes Tilney. He served four monarchs, Henry VIII, Edward VI, Mary I and Elizabeth I, in various official capacities, most notably on diplomatic missions and as Lord Admiral and Lord Chamberlain of the Household. George Manners, 11th Baron de Ros of Helmsley was an English peer. Jane Neville, Countess of Westmorland, was an English noblewoman. John de Vere, 12th Earl of Oxford, was the son of Richard de Vere, 11th Earl of Oxford, and his second wife, Alice Sergeaux (1386–1452). A Lancastrian loyalist during the latter part of his life, he was convicted of high treason and beheaded on Tower Hill on 26 February 1462. John de Vere, 15th Earl of Oxford, Lord Great Chamberlain KG PC was an English peer and courtier. Robert de Vere, hereditary Master Chamberlain of England, was son of Aubrey de Vere, 1st Earl of Oxford, and Agnes of Essex. He succeeded his brother as the third Earl of Oxford, and was one of the twenty-five guarantors of Magna Carta. Hugh de Vere, 4th Earl of Oxford was the only son and heir of Robert de Vere, 3rd Earl of Oxford and Isabel de Bolebec, daughter and eventual sole heiress of Hugh de Bolebec. Richard de Vere, 11th Earl of Oxford KG was the son and heir of Aubrey de Vere, 10th Earl of Oxford. He took part in the trial of Richard, Earl of Cambridge and Lord Scrope for their part in the Southampton Plot, and was one of the commanders at Agincourt in 1415. Ralph Neville, 4th Earl of Westmorland KG, was an English peer and soldier. He was the grandson of Ralph Neville, 3rd Earl of Westmorland, and the father of Henry Neville, 5th Earl of Westmorland. John de Vere, 14th Earl of Oxford was an English peer and landowner. John Neville, 3rd Baron Latimer was an English peer. His third wife was Catherine Parr, later Queen consort of King Henry VIII. William Willoughby, 5th Baron Willoughby de Eresby KG was an English baron. Richard Neville, 2nd Baron Latimer KB of Snape, North Yorkshire, was an English soldier and peer. He fought at the battles of Stoke and Flodden. Sir Thomas Tuddenham was an influential Norfolk landowner, official and courtier. He served as Steward of the Duchy of Lancaster, and Keeper of the Great Wardrobe. During the Wars of the Roses he allied himself with the Lancastrian side, and after the Yorkist victory in 1461 was charged with treason and beheaded on Tower Hill on 23 February 1462.